There are so many people who like soccer. Soccer cannot only be played outdoor but also indoor places. Until now, indoor soccer is increasingly more and more popular. One of the differences is in the shoes where indoor soccer requires shoes without cleats. So, if you are interested in this sport, you have to find the best indoor soccer shoes. Here are the best options that you can buy and considered as the best indoor soccer shoes in this year. This pair of shoes is very impressive with black color and 3 white stripes. It applies non-marking outsole made of rubber for perfect grip on all surfaces of indoor field. It also prevents the slippery when running. For the comfort, the shoes also offer die-cut EVA insole. It does not only make it comfortable but also lighter in term of weight, so it can increase your running speed. For the upper part, this pair of shoes uses leather to keep it durable. If you want the different color, there is also a pair of shoes with white color and 3 black stripes. The prices come differently based on the model where the range is from about $ 40 up to $ 120. This is second of the best indoor soccer shoes you can consider to purchase. 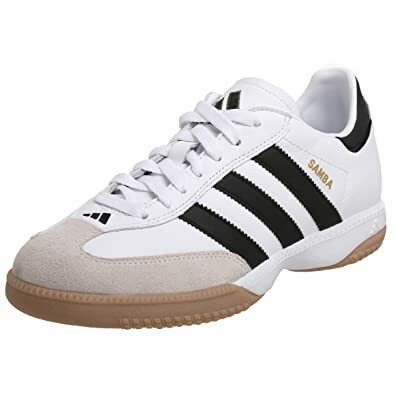 We can say that this one the modern style version of Samba indoor shoes. It comes with the rubber sole that makes this pair of shoes very durable and prevents slippery. The rubber sole also makes it appropriate for any surface of the indoor field. Besides that, it also applies synthetic and imported leather that optimizes the quality and durability. Besides that leather upper, this pair of shoes also offers suede overlays. It is also designed with die-cut EVA insole that keeps it lightweight as well as comfortable. Therefore, this pair of shoes will be able to help you to improve your soccer performance at the indoor area. That is why it is recommended so much for you. The next option also comes from Adidas. This pair of indoor soccer shoes is affordable enough because the prices are only about 50 dollars. There are some reasons why you should consider buying it. Firstly, it comes with a rubber sole that is very good for stability and prevents slippery when playing indoor soccer. For the optimal performance, it applies synthetic leather for the upper. It does not only make it durable but also very light in weight that make you run faster than before. 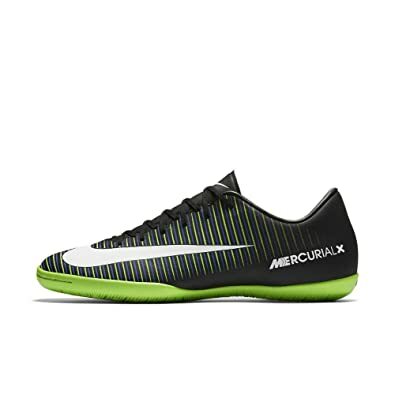 It is also designed with an indoor outsole that makes it only appropriate for indoor soccer. The design also makes it ideal for hard courts. So, you can play indoor soccer more enjoyable and more excited. This pair of shoes is designed for men only. The color looks very attractive with black, violet, and yellow combinations. For the sole, it is made from rubber to optimize the stability for any kind of indoor soccer field. So, it prevents slippery when playing indoor soccer. The synthetic material also optimizes the quality so that you should not be doubt of the durability. 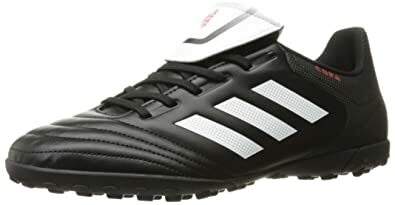 This is also considered as one of the best indoor soccer shoes because it comes with embossed ribs for the upper shoes. The ribs will be very useful for perfect touch and control. Then, it also offers contoured sockliner. This is very great to deliver low-profile cushioning as well as optimal comfort use. For the price, it starts from about $ 50 up to $ 130. 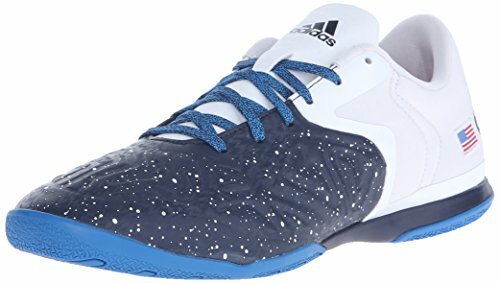 If you are looking for a pair of the best indoor soccer shoes 2019, Adidas Performance Messi will be a good choice. Comes with various colors, you can choose your desired option. For the outsole, it comes with the non-marking design. Then, it applies foam insole. Therefore, it will be very comfortable and stable for playing indoor soccer. Besides, it also offers lightly padded collar and tongue that makes it very comfortable to wear. To add the stability, it applies messiTOUCH X-ray for the upper shoes. It also features molded heel and midfoot for perfect stability. It will also be fit for you because the shaft comes with a low top from the arch. The synthetic material makes it very high quality. You can also plan to buy this pair of shoes with your desired color because it comes with 7 different colors. All colors are very attractive. The prices are also affordable all because you can buy it less than $ 80. For the quality, it uses synthetic and imported materials that optimize the durability. 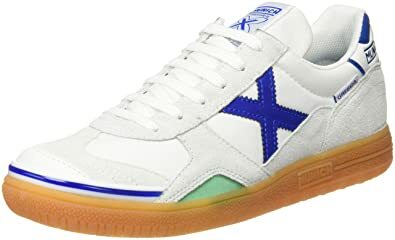 It also uses rubber sole that makes it very stable for an indoor soccer game. This pair of shoes is very comfortable because of the textile and synthetic material for the upper shoes. Even more, the material makes it very comfortable to wear. In addition, the lightweight design is very useful to optimize your running speed. It also applies outsole that comes with aggressive traction design. It is very good for superior grip and any surface of indoor soccer court. This is another best option that I can recommend to you. It comes with black color that is combined with white for the Nike logo. Even though simple, it looks elegant and modern so that there are many people who are attracted to this pair of shoes. If you are interested in it, you should not pay too high because it is priced less than $ 80 for all models. However, it is only designed for men so that women cannot wear it. In relation to the material, it uses a synthetic material that makes its quality undoubted. Besides that, it also applies rubber sole that is very helpful to prevent slippery. Therefore, you can run comfortably with optimum speed. This also adds the stability so that you can use it for any surface of the indoor soccer field or court. With this pair of shoes, you can play indoor soccer confidently. 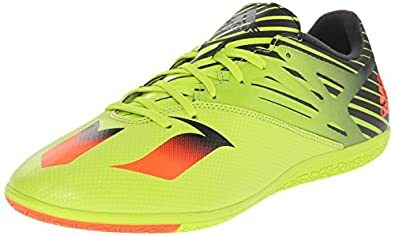 Therefore, it is reasonable to be considered as one of the best indoor soccer shoes in 2019. 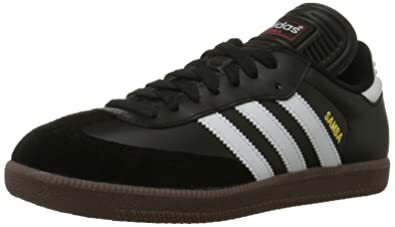 From the list above, our winner for the best indoor soccer shoes, especially in this years, is Adidas Samba classic and Millennium series. It has the look, performance, good feature, and there is a lot of people who love this product. The other good indoor soccer shoes that you should check are Adidas Mercurial Victory, Adidas Performance Messi, and Nike5 Gato. Those offer great traction, strong grip, and good stability while playing. The price is something we often consider, but those soccer shoes would not disappoint you since the prices are cheap and affordable in the first place. 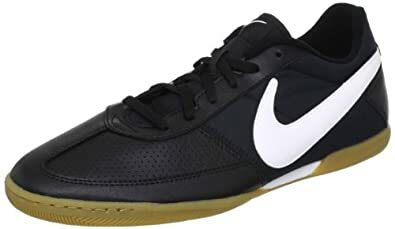 If you are looking for the best indoor soccer shoes of 2019 especially for indoor and outdoor use, the Nike5 Gato can be put into your consideration. This is the perfect shoe for you who want to play futsal at any time, any places, and any surfaces. It uses minimalistic design with high comfort. The traction is extremely excellent with the honeycomb paneled sole. Munich Gresca is one of the most popular running shoes for indoor, especially in Europe. Gresca is Munich’s best and well known among soccer or futsal players, even some of professional players use it for regular matches. This Munich futsal shoe features a toe cap and vulcanized rubber sole that adding more comfort and stability. How to Find the Best Indoor Soccer Shoes for Us? A soccer shoe is like a combat gear for soccer players, both indoor and outdoor. Choose the wrong shoes, and you will be in a big trouble. Otherwise, if you choose the right one, you ‘might’ increase the chance to become one of the best soccer players, at least in your neighborhood. There are some things that should be noted when choosing indoor soccer shoes, such as the material, the shape, style, does fit and comfort at the same time, and don’t forget about the important thing, which is the price. If you want to find the best indoor soccer cleats, here some of the tips when choosing soccer shoes for indoor use. Shoe material is the first thing to consider when choosing a soccer shoe. Commonly, there are four materials that are used to make indoor soccer shoes, which are carbon, leather, mesh, and synthetic materials. The best material for a soccer shoe is carbon fiber, premium leather, and kangaroo leather, the reason is that it can make the users feel more comfortable, lightweight, and more durable than other materials. The upper shape of the shoe is also very important in choosing good indoor soccer shoes, especially the front part of the shoe. Make sure you choose a shoe that has high comfort and stability at the front. Also don’t forget to check the sewing, make sure it’s strong and not horribly made. The heel is part of the foot that so vulnerable to get injuries. Therefore, be sure to choose soccer shoes that have an excellent coating, not easily bend, have soft soles, but thick enough to hold the foot when running. When choosing the best indoor soccer shoes, you should consider where do you usually play, on the turf, grass, or on the concrete fields. It’s because each of the fields uses different outsole, so if you buy turf soccer shoes and use it on a concrete field, you would be in a horrible situation. The size of indoor soccer shoes is quite similar to normal shoe sizes. You can choose just like your usual shoe size, but make sure they fit and comfortable when used. Don’t forget to check whether the shoes have wide size/design or not, especially if you have wide or flat feet. It’s better to choose the shoes that have a length as close as to the end of your foot. It must fit, but not too tight. Tightly shoes can decrease your performance and also increase the risk of blisters on your feet. How Much the Price of Indoor Soccer Shoes? You don’t have to spend a lot of money to buy the best indoor soccer shoes since there are so many choices to pick with the wide range in price. Sure, the price varies and depends on many factors, such as the material, size, design, brand, and features. The price of soccer shoes ranges from dozen dollars to a hundred or more. The price also can be different from where you bought it. Sometimes you can find the same shoes with the same name, style or design, and color which has a higher price than the other stores. 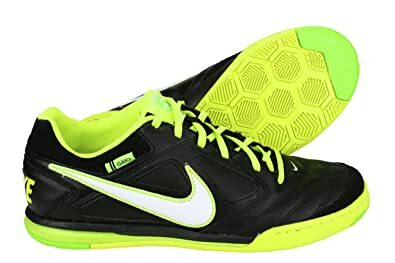 You can find cheap indoor soccer shoes at online shops like amazon.com, footlocker.com, or eBay.